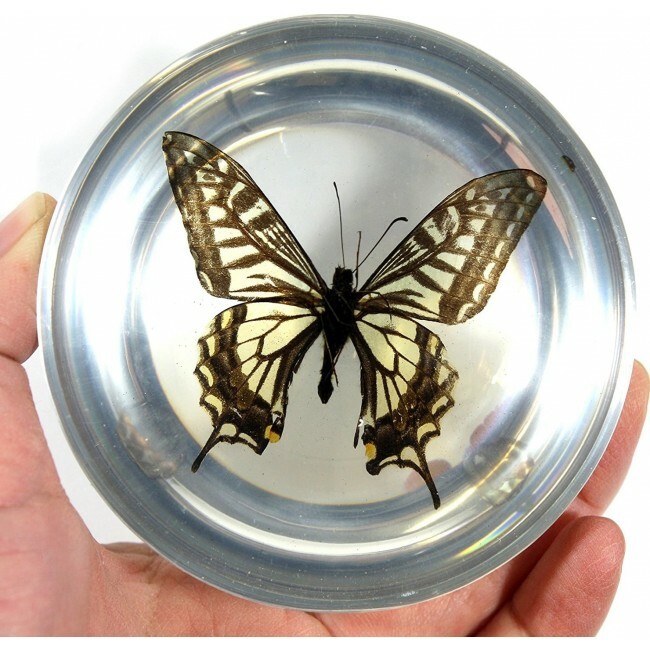 Unique Dome Paperweight contains a REAL Asian Swallowtail Butterfly preserved forever in acrylic. Let your inner lepidopterist out! Size: 3.5" in diameter. A natural way to appreciate nature up close and without the itch. 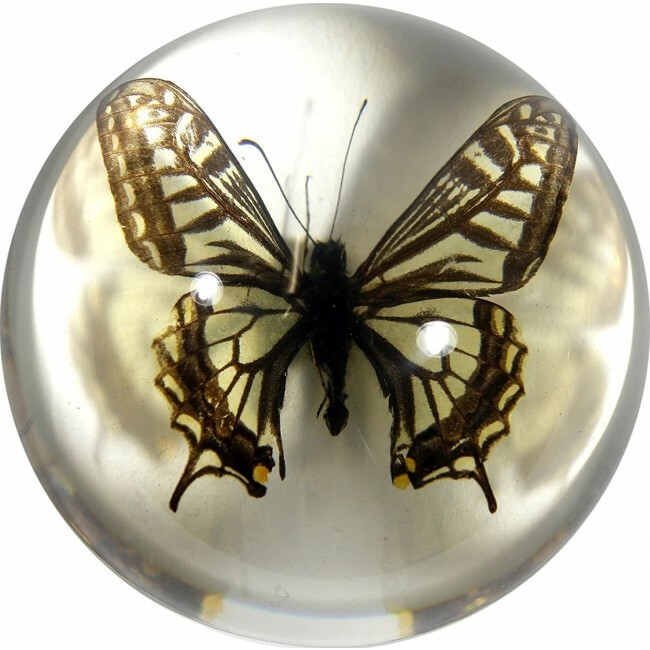 With its curious swirl of science and style, this unique Dome Paperweight contains a REAL Asian Swallowtail Butterfly preserved forever inside acrylic. Size: 3.5" in diameter.